Do you looking for Health Insurance? Here is we have filtered and collected Best Health Insurance Policy for you that will cover maximum Diseases and damage/illness. Everyone needs a health insurance policy for secured future! It is good to have such policy at the time of accidental damage or illness. 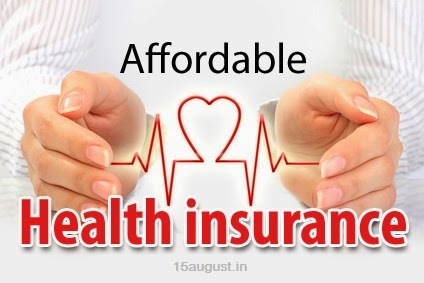 Do you know which the best health insurance policies available in India are? Want to know more about it? Read the following information. Majority people have health insurance policies. However, do you know which the best ones are? Here I have included the best health insurance policies that you should have for yourself and family members as well. 1. Bharti AXA Health Insurance – The Bharti AXA provides health insurance with great benefits that takes care of you and your family members in health acre requirements. The advantages includes pre and post hospitalization expenses, unlimited room rent, lifetime renewal, and tax benefit up to Rs 25000. Why not get this policy? 2. Health Suraksha (HDFC) – The HDFC bank offers Health Suraksha policy with advantages like hospitalization expenses, day care procedures, organ donor expenses, and domiciliary treatment. There is an access to cashless claims service and no sub-limits on any disease, hospital charges, doctor fees, and room rent. 3. Jeevan Aarogya – Life Insurance Corporation (LIC) of India has launched a non-linked health insurance plan. There is hospital cash benefit, day care procedure benefit, other surgical benefit, ambulance benefit, and major surgical benefit. What are you waiting for then! Avail the scheme today! 4. SBI Life Smart Health Insurance Plan – It is a fixed benefit inclusive health plan without bonus facility. There are great profits including day care treatment, lump sum surgical benefit, and daily ICU benefits. Isn’t it great? Don’t wait just get the policy! 5. Complete Health Insurance (ICICI Lombard) – The ICICI provides you a complete health insurance policy with inclusive coverage for your family. There is a guarantee of lifelong renewalibilty. They give you 10% discount on a 2 year policy. You also get an option to choose sub-limit and modify premium. Apart from this, you can also take benefit of Government's "Pradhan Mantri Jeevan Jyoti Bima Yojana" and Suraksha Bima Yojana, which is Life Insurance and Accident Insurance policy available from Government of India at minimal Price. Update :- Modi Government to announce Universal Health Insurance scheme for common people of india, very soon. Check out key features of Universal health insurance. These are the best health insurance policies you should have! What are you waiting for? If you don’t have any then have one today and secure your future! For any questions, please comment in the comment box given below.